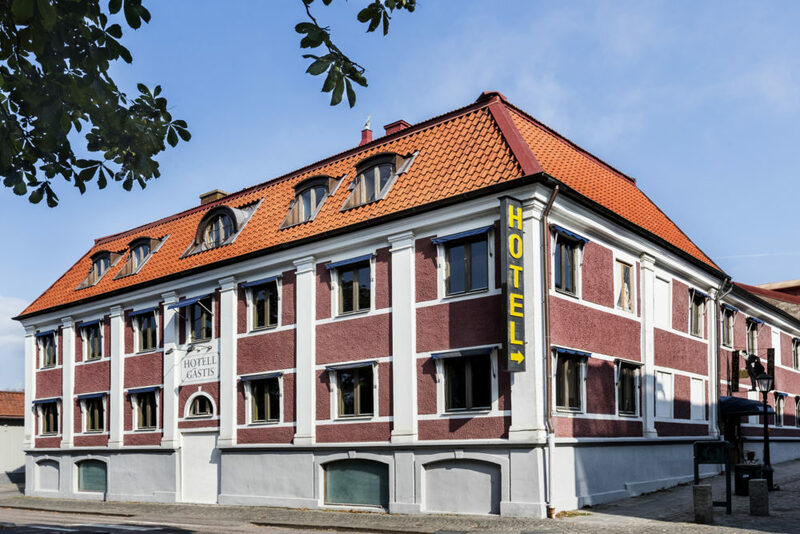 Opposite Engelska Parken in Varberg, you’ll find Hotel Gästis located in a beautiful building dating back to the 18th century. Once inside you’re greeted by a unique atmosphere, exceptional service and surroundings that restorative for both body and soul. Hotel Gästis is famous for a great many things: from the homely atmosphere to our unique Lenin Spa. But we’re most proud of our staff, who – most deservedly – have the reputation of always going the extra mile to make our guests feel welcome and truly cared for. Do you want to read more about offers, interior design, history or dining rooms of the hotel? Or maybe more about the owner, Lasse Diding? Please click on the relevant icon or heading and you’ll find detailed information about (near enough) everything. Once again – welcome to our hotel!